Finally, it feels like and looks like Spring! 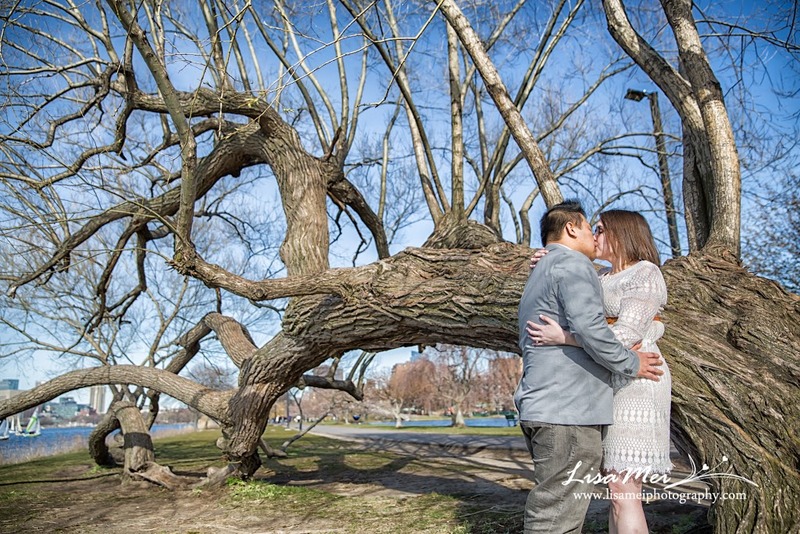 Marissa and Tri’s wedding will be next year and they wanted a Spring engagement so the timing was near perfect…..although the tulips weren’t in bloom at the Boston Public Garden but we found the cherry blossoms in full bloom at Memorial Drive where they got engaged! 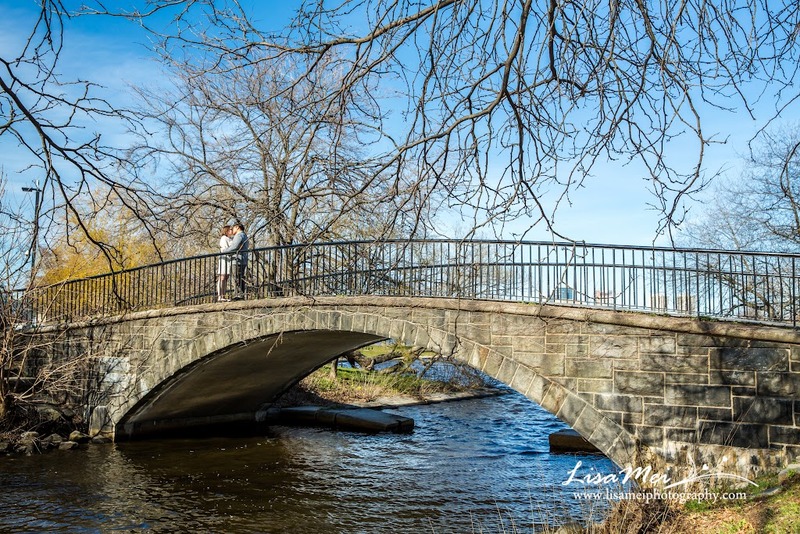 We started at Memorial Drive and walked across Mass Ave bridge – it was chilly and windy – to get to the other side of the Charles River. 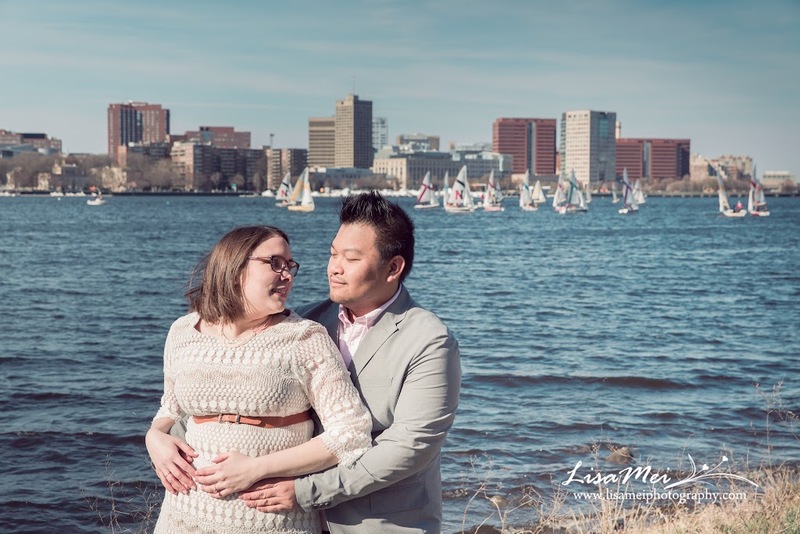 Speaking of perfect timing, we were at the right spot when the sail boats were aligned perfectly as if they lined us for our photo shoot! Afterwards, we headed to the Garden, it has more crowd on a warm sunny day than I was there last week for another photo shoot. 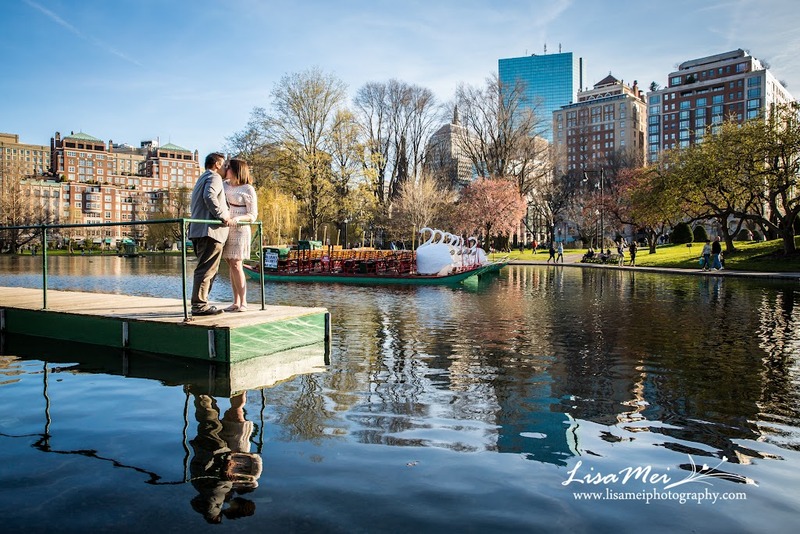 The swan boats were there for its opening the day after, another perfect timing 🙂 Then, our last stop at Copley Square for night photos. We went into the Copley Place Mall for a quick bite but oh boy so much changes; its food court was gone LOL…that showed how long we haven’t been inside the mall! We had a quick dinner at Au Bon Pain instead where Marissa and Tri changed into another outfit. 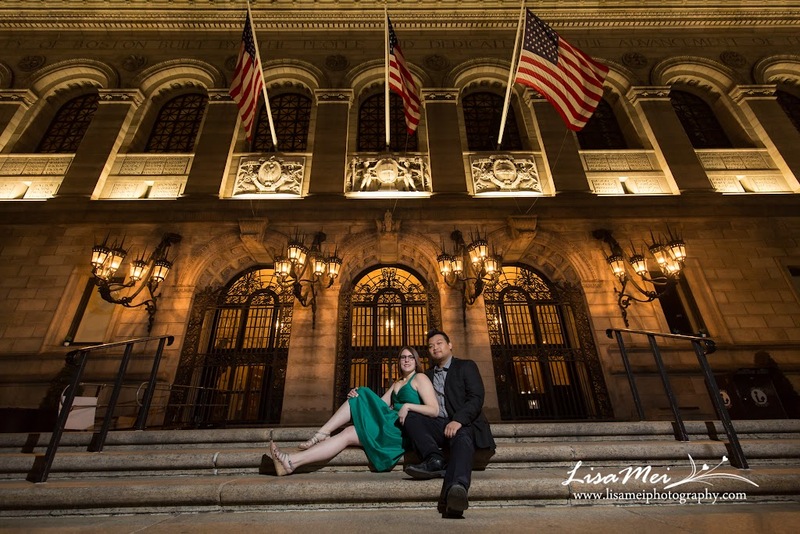 Marissa wore an dark green dress, it was great for night photos! 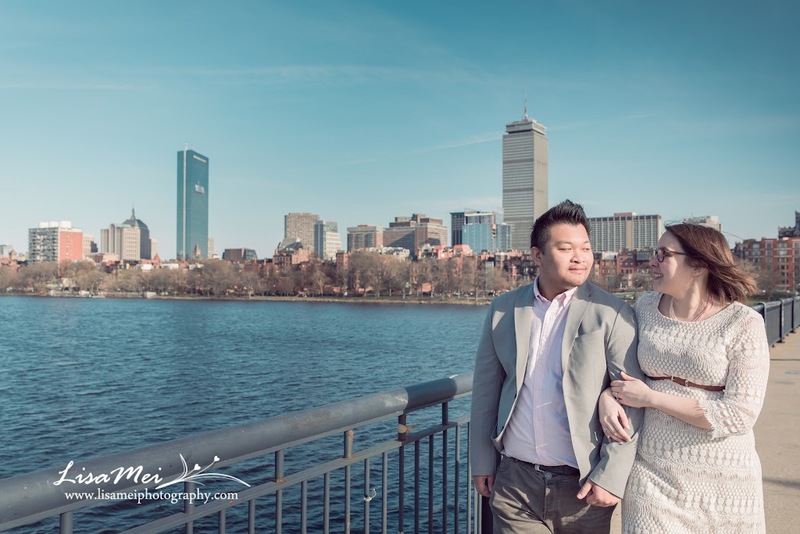 Days before, we were texting each other to see what color would be good for night photo, I told her deep bright colors that “pop”, avoid light colors like white and pastels. We walked to the Boston Public Library and we found the whole area was closed for traffic to setup for the Boston Marathon the coming Monday! It was totally different than the week I was there without cars in the area….but the space between the library and the Trinity Church was completely filled with tents urg! 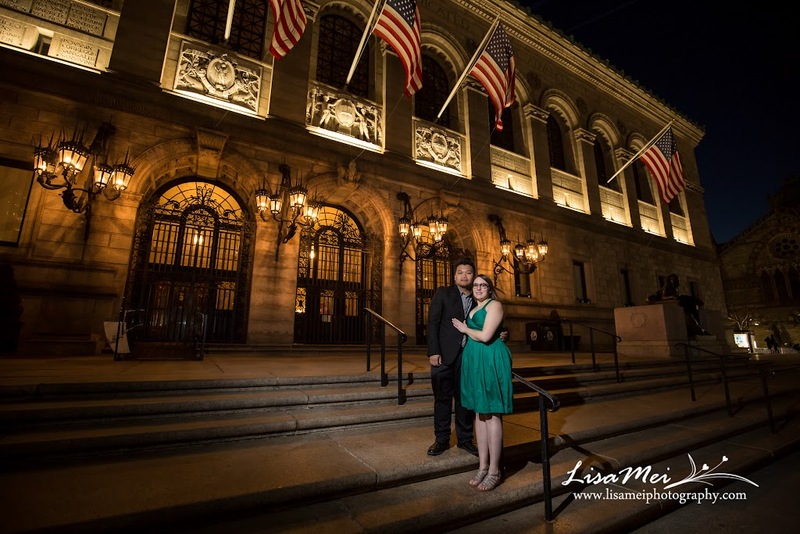 We weren’t able to get the full photo of the church but we did had much more photos on the front steps of the library without people walking by since most of them were busy at the Marathon finish line. 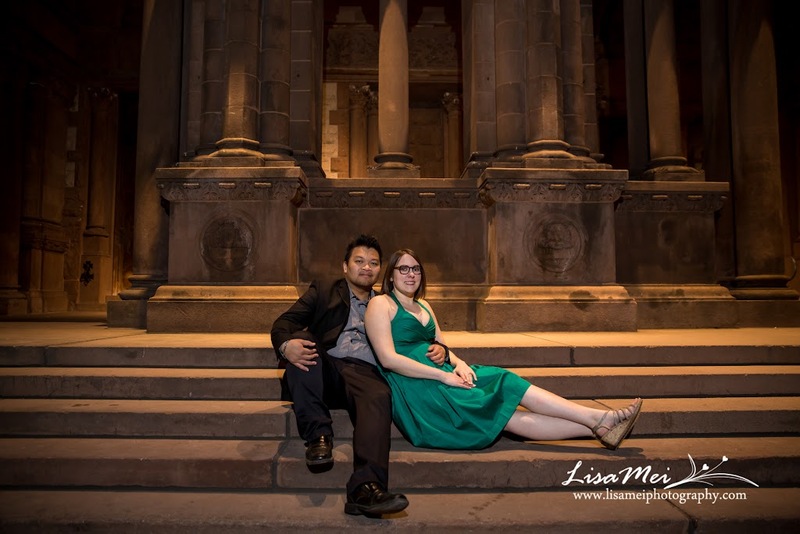 We met at 3 pm and finished at 9:30 pm, it was a long day but we had so much fun to shoot at multiple locations. 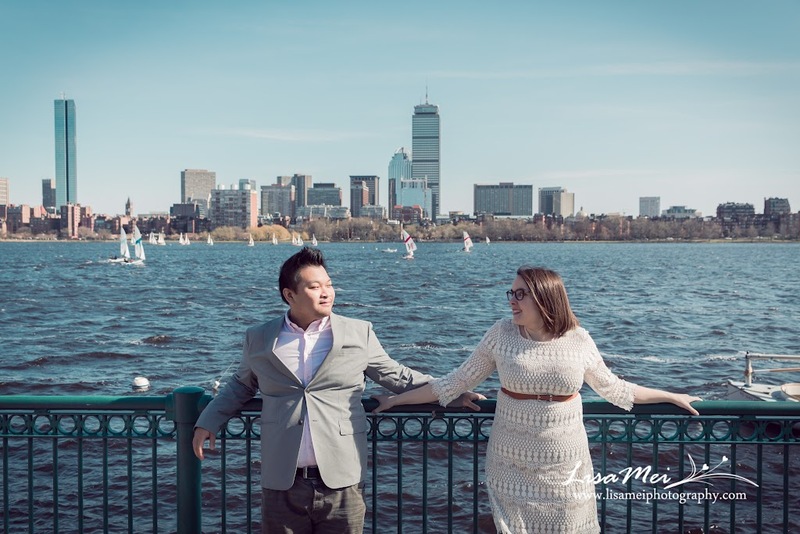 Marissa and Tri are such a shy but very sweet couple, can’t wait for their wedding next year!